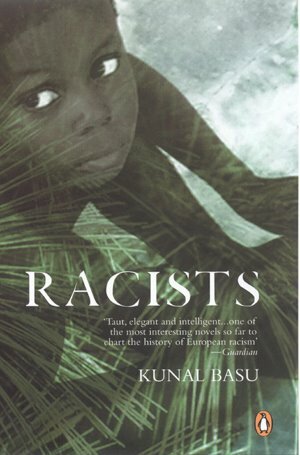 Kunal Basu's Racists, a strange little book set roughly between 1855 and 1862, has an absorbing setup: two babies, a black boy and a white girl, are left to grow up together on a deserted island with only a mute nurse to provide them with food and shelter. The question being asked is: thus cut off from the lessons of civilisation, with no knowledge of the roles they are expected to inhabit, what will they grow up to become? And will one of the two eventually assert dominance over the other? 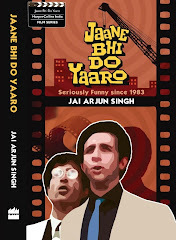 And finally, given that the early chapters are so languid and drawn-out, the book rushes to an untidy conclusion in the final 30 or so pages – the effect is as if Basu had initially been given the go-ahead to write an 80,000-word tome and then been asked to pare it down to 60,000 when he was halfway through. Racists is still interesting enough in concept, and to an extent in execution, for me to want to endorse it in some way. One of the things I liked was its depiction of the loss of humanity in the pursuit of science (how could Bates care so much about variation in the human species and yet have so little concern for the humans he knew, Quartley wonders). The writing mostly has the same intelligence and restraint that was on view in Basu's last book The Miniaturist, an engrossing historical fiction about the artist Bihzad in Emperor Akbar's court. The quality of the research is solid too, the period detail believable, but Racists never quite takes off as the novel of ideas it aspires to be, which is a real pity. P.S. One of the interesting things about this book outside of its merits and demerits is that it's a member of a rare species – a novel by an Indian author that doesn't have an Indian setting, an Indian character, or even an Indian reference (except for a minor allusion to the 1857 Mutiny). This is quite rare. I remember when Vikram Seth's An Equal Music was published in 1999, many of the reviews devoted much space to marveling about the fact that the book “had no Indian connection”. Have you read Kunal Desai's Miniaturist? You have provided the link for it, was wondering if you had a chance to read it, I loved Orhan Pamuk's 'My Name is Red' which is about the same theme more or less, so was wondering if you had a look at this one. and I thought, isn't it odd how when we are children writing stories in our English Composition classes, we come up with wildly un-'Indian' names for our principal characters--Justine was one of mine (but never, I'm happy to report, Balthazar, Mountolive or any one of the nine muses). Sometimes they have red hair or blue eyes, and speak in a weird language. And though the stories came back with several red marks for other reasons, mostly our teachers never questioned our choices of names or settings. Then one day without quite knowing how, we become conscious of our 'Indianness' and choose appropriate stories--and names. Until a Kunal Basu or a Vikram Seth book becomes an object of wonder. Space Bar: true, so true. It goes hand in hand with our imaginations being stifled as we grow older - and the shock some people feel when they see adults reading "children's" books. And I actually know people who won't read books by non-Indian writers because they don't see how those can be relevant to the realities of their own lives. Priya: yes, have read Miniaturist (I wouldn't have described it as being "intelligent and restrained" if I hadn't!). But really, there's very little similarity between that book and My Name is Red except for the broad setting. What about gender and the sociocultural constructs of it? Does the book also deal with this? Am interested because, just as there was a deliberate choice of race, is the fact that there is a boy and a girl also deliberate -- or just a convenient way to introduce a romance angle into the plot? No romantic angle - the story doesn't move beyond the point where the children are 6-7 years old. The choice of a white girl is Bates’s, to make his "victory" all the more conclusive - since a white girl in his view represents an "inferior white", his idea is to show that even a lesser white can assert her supremacy over the black race. Ah. Ok. So it was deliberate then, based on Bates's belief that the female, like the non-white, is inherently inferior. Thanks for clarifying... Sounds like an interesting book all in all, even though I'd be reading it with my mind already made up to dislike Bates. Space Bar, Jabberwock, I think the identification with white children and western names happens much less due to a highly developed imagination in childhood than the continual exposure to the likes of Enid Blyton and Just William. Our imaginations were shaped by these books. Also, indirectly, about how we start accumulating labels with which to mark ourselves and others as we move out of childhood. Most of us are far more inclusive creatures as children than as adults (in terms of being open to different ideas and allowing different worlds to inhabit our minds). Mail bahrisons@vsnl.com, I believe they ship and they are pretty extensive in terms of catalogue. I completed the novel yesterday and I agree 100% with you on the review. I thought that the end was really very disappointing and very rushed. The story had a lot of potential but in the end it seemed wasted. The story started well and the build up was great but the second half was a disappointment esp. the part about Black boy in the end. What was the conclusion of the book? The arab part in the end was so filmy. Do a whole Arab ship/boat will come to the island to grab one black boy? I would have rather seen them move to Canada and end the story there. I liked the character of the nurse too a lot. It had great potential. And, yea the premise of the story without an Indian character was surprising yet refreshing. did anybody get that the black boy in a way or manner sacrifized himself for the girl....by leading the attention of the slavers to himself...?? ?